Often we think of the assets of our estate only in terms of what will happen after we die. But, a sudden tragedy or disaster could throw a wrench in your plans. Just like you would store first aid, batteries, and flashlights away for a potential storm, you should also be putting certain documents, policies, assets, and savings in a financial emergency kit. Below are some of the aspects you should consider in the event of a fire, hurricane, serious illness, job loss, or any other unforeseeable emergency. From USB drives to fireproof safes, it is critical that your physical and digital documents are stored safely and in a way that is accessible to people other than you. Some ideas are lockable cabinets, laminating your will and estate planning documents, or keeping them in binders and folders. You most likely have a digital estate as well. All of your hard copies should also be backed up onto encrypted USB drives or locked folders on computers as a safeguard. Make sure your beneficiaries or trusted loved ones know the passwords and the correct way to access digital assets. You should set up an emergency fund that is accessible to your executor or your trusted family members. This would include funds for your family, which could be built in either bank savings accounts, checking accounts, or even short-term CDs. It is also so important to have the most up-to-date documents and information in your estate plan. You’ll also be include your insurance policies, from health to business, to accident coverage, and even tax return documents. If these aren’t updated, it could mean headaches when trying to get back on your feet. This is important for insurance loss. You should keep detailed photos of your property, assets, heirlooms, and any valuable possessions. 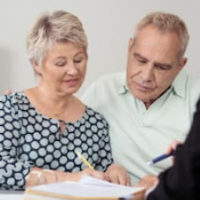 Proving loss during a natural or financial disaster could be the difference between getting back to your old life, or having to start all over again. You should create multiple hard and digital copies of your guidelines, and make sure those you trust are aware of where the guide is located. With fires, earthquakes, and hurricanes dominating the news every year, everyone should have a financial disaster plan. Legacy Protection Lawyers, LLP will help you structure your estate so it is easily able to rebuild in the event of an emergency. Call our St. Petersburg offices today to start your plan, at 727-471-5868. You can also contact us online to schedule a consultation today.